Vancouver, B.C., Canada – August 23, 2017 – Deep-South Resources Inc. ("Deep-South" or “the Company") (TSX-V: DSM) is pleased to announce that it has signed a letter of agreement (the “Letter of Agreement”) to acquire from Suricate SARL (“Suricate”), 75% of the INAL project, neighboring the Kinross Tasiast gold mine situated in the northwest of Mauritania. Upon completion of a satisfactory due diligence, Deep-South shall acquire a 75% beneficial interest in the INAL project in consideration for a cash payment of US $ 20,000.00 and the issuance of 500,000 common shares of Deep-South. The respective interests of both Parties will be held into a joint-venture company (Holdco). Deep-South shall finance all the exploration expenditures up to a production decision. Upon the day of a commercial production decision, Suricate shall contribute its share of the eventual mine development. Deep-South intends to hire Suricate to act as its representative in Mauritania for a period of 24 months from the Closing Date at a rate of US$2,500 per month. Upon closing, Sparrowhawk Gold Limited, a geological consulting company, has analyzed the project and upon closing will receive a compensation of US $ 3,500 and 50,000 common shares of Deep-South. After the first anniversary of the Letter of Agreement, Deep-South shall retain the services of Sparrowhawk for the 3 subsequent years of the project for a cash compensation of US $ 10,000 per year and the issuance of 30,000 common shares per year . The Letter of Agreement, and the transactions contemplated therein, including the shares issuance are subject to approval by the TSX Venture Exchange. All securities issued pursuant to the Letter of Agreement and to Sparrowhawk Gold Limited will be subject to a hold period of four months and a day from the date of issuance. The INAL project is situated within the Aoueouat Greenstone Belt of North West Mauritania (see maps at: https://www.deepsouthresources.com/projects/inal-property/). The project comprises two exploration licenses covering an area of 441 square kilometres located some 45 kilometres North East along trend from Kinross’s Tasiast gold deposit, and is adjacent to Kinross’s N’Daouas-Est and Algold’s Legouessi exploration licenses. The project covers prime granite greenstone belt terrain and host a number of geological structures extending from the Kinross licenses through, and onto, the INAL licenses. These structures, including a banded iron formation that hosts the Tasiast deposit, have the potential to host gold mineralization. Furthermore, the INAL project also hosts a number of pegmatite bodies with confirmed spodumene and lepidolite mineralization. The pegmatite bodies have been identified by intermittence over a length of at least 40 km and a width of over 10 km, and represent very prospective targets for lithium mineralization. North Western Mauritania is underlain by the South Western portion of the Reguibat Shield, which forms part of the West African Craton. The Reguibat Shield host Archaean age Greenstone Belts that bear many similarities to other Archaean age Greenstone Belts of the West African Craton, most notably in Ghana, Burkina Faso, Mali and others, which all host multi-million ounce gold deposits. Clifford Fitzhenry; MSc, BSc (Hons), Pr.Sci.Nat., is responsible for the technical part of this press release and is the designated Qualified Person under the terms of National Instrument 43-101. Deep-South Resources Inc. is a mineral exploration company largely held Namibian shareholders and Teck Resources Ltd, which holds about 35% of Deep-South share capital. Deep-South is actively involved in the acquisition, exploration and development of major mineral properties. 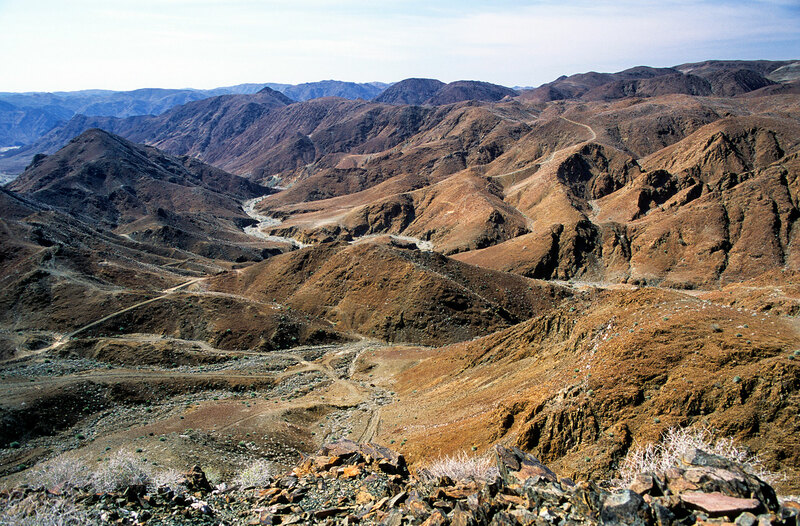 Deep-South currently holds 100% of the Haib Copper project in Namibia, one of the largest copper porphyry in Africa. Deep-South growth strategy is to focus on the exploration and development of quality assets, in significant mineralized trends, close to infrastructure, in stable countries. This press release contains certain "forward-looking statements," as identified in Deep-South’s periodic filings with Canadian Securities Regulators that involve a number of risks and uncertainties. There can be no assurance that such statements will prove to be accurate and actual results and future events could differ materially from those anticipated in such statements. Neither the TSX Venture Exchange nor its Regulation Services Provider (as that term is defined in the policies of the TSX Venture Exchange) accepts responsibility for the adequacy or accuracy of this release.